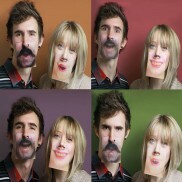 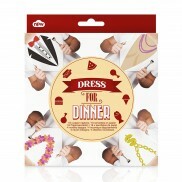 Make your party go with a bang & get the accessories you need for a fantastic party with our party gift ideas! 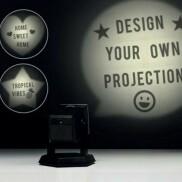 Customise your own slides and share your thoughts for the day with images up to 2.5m tall with a DIY Projector Lamp! 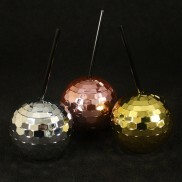 Flood your dancefloor with beautiful glowing bubbles for a fabulous party atmosphere! 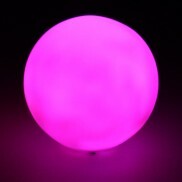 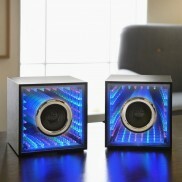 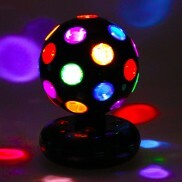 Pump up the funk in your home with instant disco lighting from this very cool rotating disco ball! 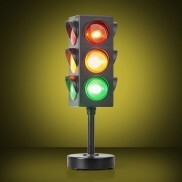 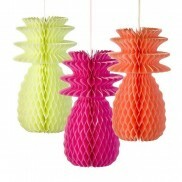 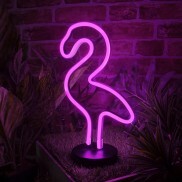 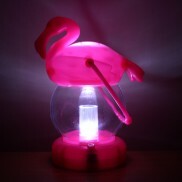 Banish the blues and say hello sunshine with a fabulously kitsch retro Flamingo LED neon light! 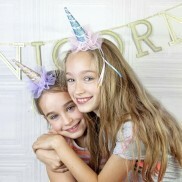 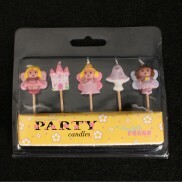 Birthday candles fit for a fairy princess, fairyland party candles add a touch of magic to your celebrations. 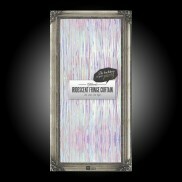 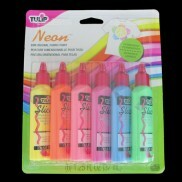 Design your own t-shirts, sweatshirts and accessories with the brilliant Tulip Neon Fabric Paint Set. 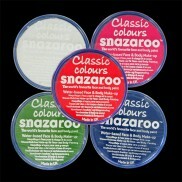 Excellent fun, this pack contains six different colours and is an ideal start to designing your own clothes and homewares! 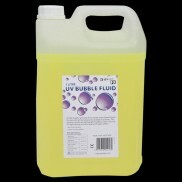 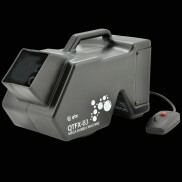 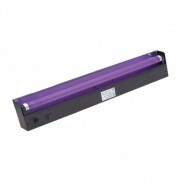 Make the most of your party venue and add a little magic with the Mega Bubble Machine QTFX B3. 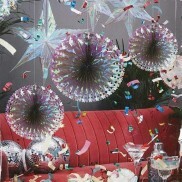 An impressively high output bubble machine that's lightweight and portable. 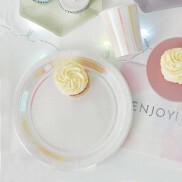 Perfect for home and garden parties! 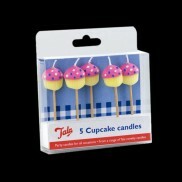 A five pack of cute and quirky cupcakes to top your celebration cakes, these Cupcake Candles really are the icing on the cake! 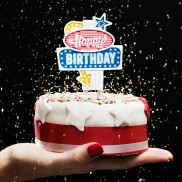 Charming novelty birthday candles with a yummy cake theme! 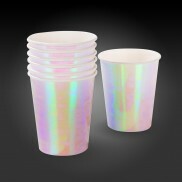 Brighten up your drinks and have a party in your glass with funky LED Ice Cubes! 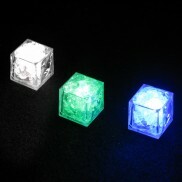 These flashing ice cubes are waterproof and come in blue, white or multi coloured for fun light effects in your drink! 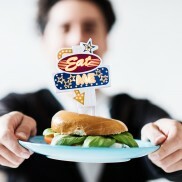 Never again will you be in the devastating predicament of being caught without googly eyes, with this emergency tin. 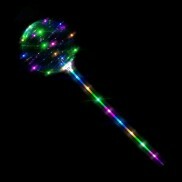 Keep it with you at all times, just in case! 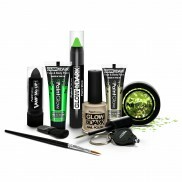 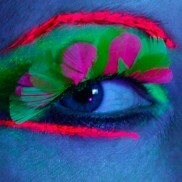 UV reactive neon feather eyelashes add a fabulous finishing touch to any fancy dress, clubbing or party outfit, simply apply to your upper lashes and enjoy under UV lighting for dazzling effects. 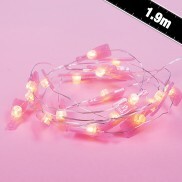 No party's complete without some funky fun neon party beads, this set of UV reactive beads comes in a pack of 4 featuring pink, green, orange and yellow. 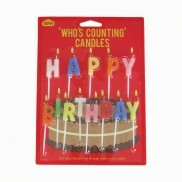 Add understated chic to your birthday or celebration cake with these brilliant Matchstick Candles. 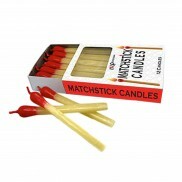 Shaped just like matches for a real no fuss look, these candles are brilliant fun for all occasions! 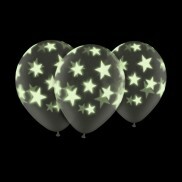 Glow in the dark stars light up on these clear balloons to create a stunning effect. 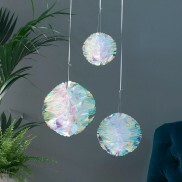 Perfect for parties and celebrations, bunch together to create a stunning effect and get the full benefit of these brilliant party pieces. 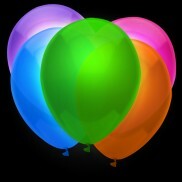 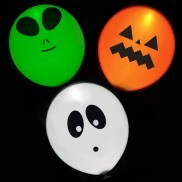 Fabulous Illoom Light Up Halloween Balloons add serious creepy fun to your Halloween decorations! 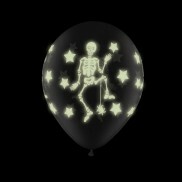 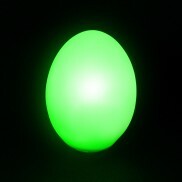 Decorate your Halloween party for very funky effects with Glow Skeleton Balloons! 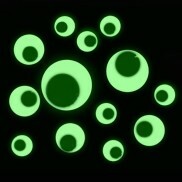 Glowing skeletons dance around the outer for superb spooky fun! 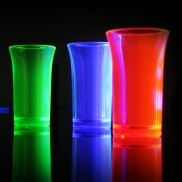 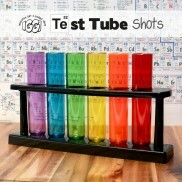 UV Reactive Shot Glasses - reuseable and colourful plastic shot cups that glow brightly under UV light or blacklight! 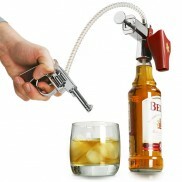 Increase the booze flow with this revolver shaped Shots Gun! 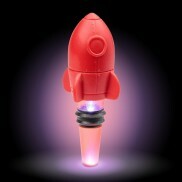 Pump up the pressure and ... 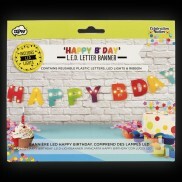 Draw! 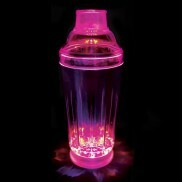 Dispense your drinks in style! 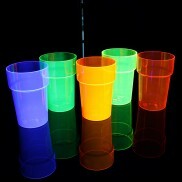 UV Reactive Pint Glasses - reuseable and colourful plastic pint cups that glow brightly under UV light or blacklight! 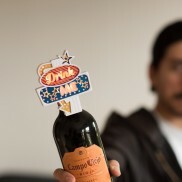 Why spend any longer in denial, convincing yourself you're having ‘just the one glass’, then wasting precious time refilling throughout the evening. 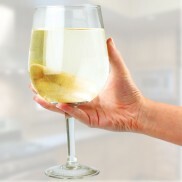 With the Giant Wine Glass, one glass is all you need. 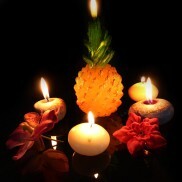 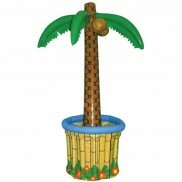 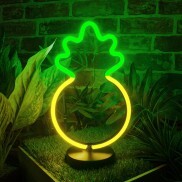 Relax and enjoy tropical feel good vibes from the superbly kitsch pineapple candle. 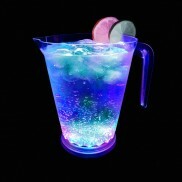 A must for the frustrated cocktail barman in you, create a dazzling light show as you create the perfect cocktail with a strobing cocktail shaker. 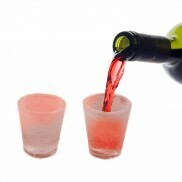 Simply pour in your ingredients, mix them up and enjoy!